Which Dating Site Should You Use? Let’s Break It Down. If you are pondering the same question, keep reading. I have a fast answer and a slow answer to this question. The fast answer is to go where the people are. Where you live is going to add a big variable in which dating site you choose. If you live in a larger metropolitan area you probably won’t have trouble finding other users. A smaller populated area may not offer the same results. So, something to keep in mind as you get started. If you are willing to look with some distance, that will also play a role. For my slow answer, I thought I’d break it down. I think this is the smart approach because at the end of the day, what it boils down to is what is it about you and your dating goals that make one site better than another. It’s not about the site about you. People often believe that one site is better than another. But, that’s up to opinion and interpretation. You want to think about where you are most comfortable. The good news is like attracts like, right? If you are looking to date like-minded individuals you’ll most likely end up in the same place. Before I get started I would also like to point out: You make up the sites, the sites don’t make up themselves. You guys want all these sites to be better, then it starts with you. Probably the most popular and well-known sites and will most likely offer a good selection (pardon the “shopping” lingo). The profile layout is all-encompassing. Meaning, it offers a lot of space to share your story and your attributes. It starts with a space to answer canned definitive answer questions, including, never married, divorced, currently separated, if you smoke, have kids, don’t have kids, want kids don’t want kids, etc. After that is an open-ended section, followed by a few open-ended “subject boxes,” which gives you space to elaborate on different topics like, your favorite things, pets, religion, and so on. 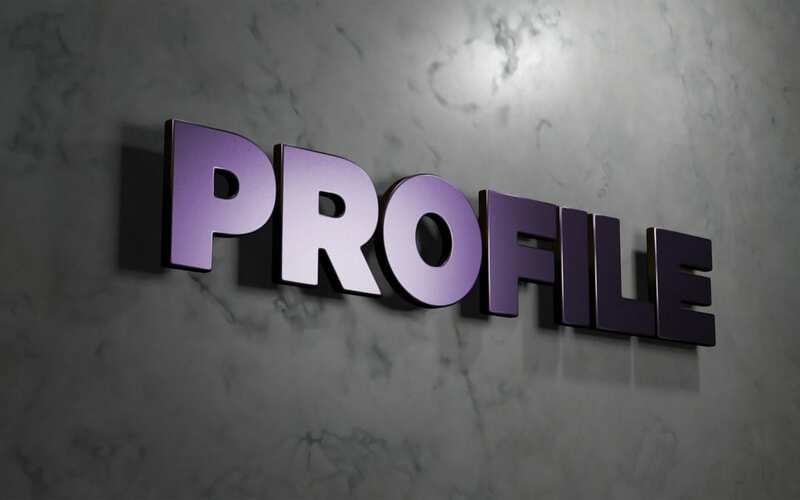 Once you have your stellar profile created you are free to search. There is lots of flexibility with searching. It allows you to put in precisely the criteria you are looking for. Zoosk is very similar to Match.com. The dynamics of the features vary, but shoot for the same end result – finding a match! Next to Match.com, eHarmony is probably the next most popular and well-known online dating site. eHarmony boasts an ability to connect you with your best potential mate. The first thing they have you do is take a (sort of) personality test. They use the results to find you matches, namely the people who yielded similar results. The actual profile part is similar to match in that it’s comprehensive and give you a lot of space. However, you will not have the ability to freely search for people. Instead, every day you will be sent X number of matches. This number will vary depending on the radius in which you are looking. You can search the entire United States if you want (or whatever country you are in). EHarmony also helps you out with conversation starting. They have canned questions, usually multiple choice, you can send to people. Elite Singles has similarities to all the features of eHarmony. This site is new and upcoming so it doesn’t have lots of traction yet. It may be worthwhile is a larger city, but not so much in a smaller town. I’m not going spend a lot of time on these. They are basically the free versions of Match.com. So, if you want to play around with dating, get a feel for it, and you don’t want to spend money, these sites are good options for that. These are the phone apps with the swipe left, swipe right features. Simply put, you create an account using your Facebook ID (don’t worry, your friends aren’t notified). It’s a really fast process. Once your account is created you can write a short blurb about yourself. Tinder allows 500 characters and Bumble allows 300 characters. From there you start swiping. If you are not interested in the person you swipe left, if you are, you swipe right. If the other person is also interested and also swipes right, then you are both notified. From there the conversations can begin. How Tinder and Bumble differs is contact initiation. With Tinder either party can start a convo. With Bumble only the woman can and there’s a 24-hour time limit. These dating apps are free, but there are a la carte fees, such as being able to initiate contact with someone who didn’t swipe right on you, extending the time limit (Bumble), etc. Beyond these common core online dating sites and apps are the special interest sites. This includes OurTime (for the 50+ folks), Christian Mingle, Fitness Singles, etc. There are TONS of these. The three I mentioned are the most popular. These sites might not have an abundance of people on them (again, depending on where you live), but if the encompass values, qualities and attributes that are important to you, it’s worth being there. It may take time, but you will be closer to exactly what you are looking for. You don’t have to choose just one site. Many people pick 2, even 3. Also, while some sites require a subscription payment, you can still create an account and sit on it for a little bit, see what it feels like. You can even keep your profile hidden so no one sees you. Once you’re ready, pay the subscription fee and start communicating! Don’t be sloppy about your profile. If you are serious about dating then show it. Be a part of raising the bar.